Nestled majestically atop AudioQuest's Bridges and Falls Series, Angel mini cables feature Perfect-Surface Silver (PSS) conductors and AudioQuest's unique DBS system for clarity and depth unrivaled by any other mini cable. Very few cables that AudioQuest has produced come close to the resolution, transparency, and detail provided here, yet Angel retains a much more agreeable cost than many high-end audio cables. Get a taste of audio heaven and find out just how good your system is capable of sounding. 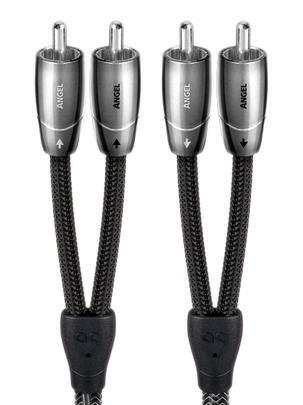 Angel, like virtually all of AQ’s cables, uses solid-core conductors for the analog pathway. Solid-core conductors are more efficient at transmitting small signals than stranded cables and are also vastly lower in distortion, a difference that is clearly audible from the first instant; the system sounds like someone turned up the volume! This efficiency also translates to more music coming through, plug in an Angel and hear things in your music you’ve never heard before, literally! DBS is an AudioQuest patented system which does some pretty extraordinary things to the electrical properties of the cable yet operates completely outside the signal path. 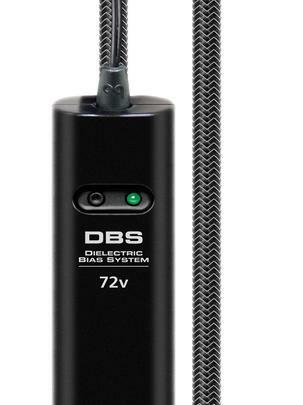 DBS simultaneously eliminates the “Dielectric Effect” as well as external interference.